Masching bro't out a new washing machine & radio. Real cold. Didn't wash. Went in town after dinner. Got clothes pins, line, etc. Went in to show at nite. 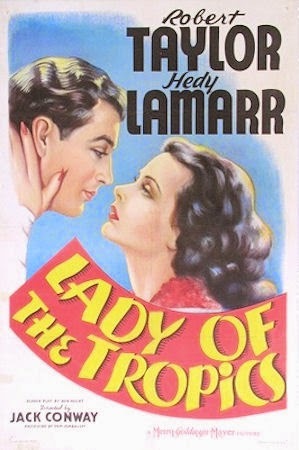 Robert T., Hedy La Marr in "Lady of the Tropics."